NEOPOR in the frame combines flourocarbon-free foam with graphite particles that reflect radiant heat, improving strength and insulation. 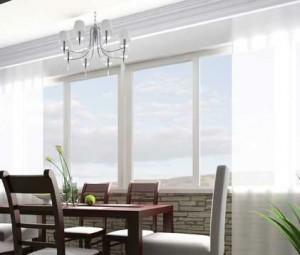 Cove-crafted sash interiors with even sightlines mimic traditional window styling. Shadow-grooved sash welds give the consistent appearance of mitered wood joints. Heavy duty die cast multi-function tilt locks and keepers integrate the tilt for easy cleaning function into the lock, eliminating unsightly tilt latches. 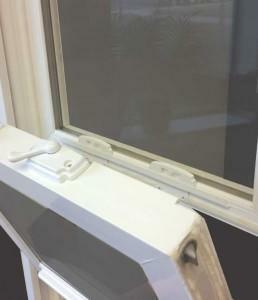 Push-button activated Dual Night Locks provide a secondary lock that allows limited yet secure opening of the window from the bottom or the top. Meets ASTM F800-97 (Grade 10) forced entry resistance standards. Double paned, double strength Intelliglass Low E is energy efficient, enhances insulation and reduces sound transmission. Patented UItraVue screen mesh increases airflow and improves insect protection by utilizing a 30% smaller mesh opening and thinner fibers than standard screens. The result is higher light transmittance, improved curb appeal and a significantly clearer view from inside or out. IdeaSeal Triple Protection includes triple weatherstripped sashes, and integral interlock. 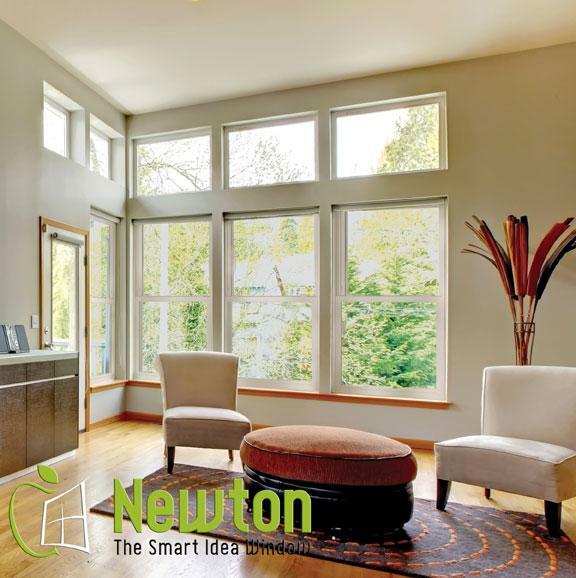 Low-profile fusion-welded sashes subtly frame the view with decorative detail and allow abundant natural light into your home. Die cast cam locks will never rust or break and proved a secure defense against forced entry. Two locks are standard on windows over 24 tall. Heavy duty extruded half screen has a smooth, wide face that blends with window exterior, interior spline is protected from UV damage. Patented UltraVue screen mesh increases airflow and improves insect protection by utilizing a 30% smaller mesh opening and thinner fibers than standard screens. The result is higher light transmittance, improved curb appeal and a significantly clearer view from inside or out. 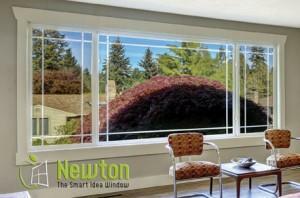 Double paned, double strength Intelliglass is energy efficient, enhances insulation and reduces sound transmission. 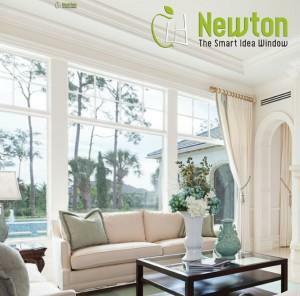 Newton picture windows are also available in a variety of architectural shapes, such as half rounds and trapezoids.